This art show consists of 6 larger than life sculptures based on a stick figure drawing. Each child drew a stick figure and the drawings were then re-created to form a single image. They are all expressive and imaginative works of art made from naturally found materials. Each classroom collaborated to design and build one stick figure. 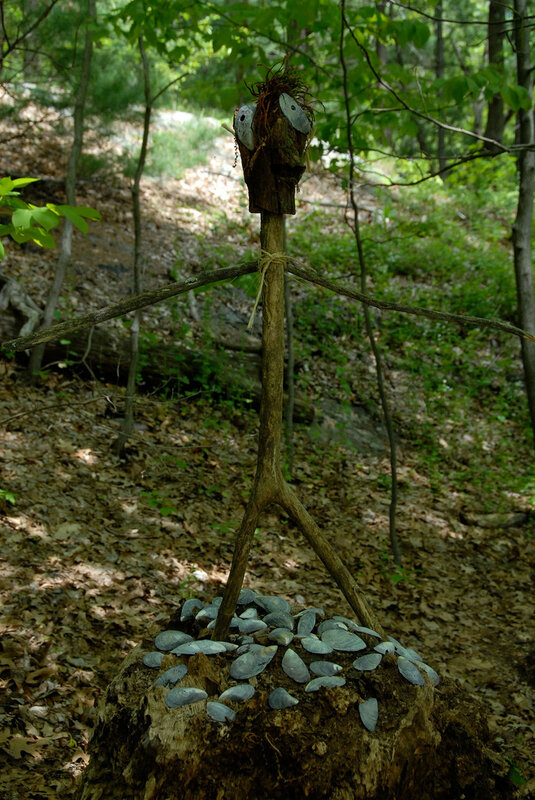 The art show took place in the natural environment of the Community Therapeutic Day School nature trail, where arrows lead one to explore the beauty of each sculpture.